For years, the Professional Rodeo Cowboys Association has sought as much media coverage as possible, especially for its marquee event, the National Finals Rodeo. The better the coverage, the better the exposure; growth can easily follow, especially in this digital age. The staff-shortened PRCA media department has always worked above and beyond to provide all it could to as many media outlets as possible. PRCA CEO George Taylor has preached the need to expand exposure of the brand, and there’s no better partner to help with that than the media. While the media staff continues to push for expanded coverage and assisting media outlets as much as possible given limitations, their bosses are doing all they can to cinch their saddles so tight they can’t budge. The NFR is ProRodeo’s Super Bowl, World Series and NBA Finals wrapped up in a 10-day affair with a $10 million purse. This is the greatest in the game for the given year, all battling for those Montana Silvermiths gold buckles. But like a hot knife through butter, Steve Rempelos is doing his very best to push all coverage away from the sport. Is he trying to sabotage Taylor’s message? 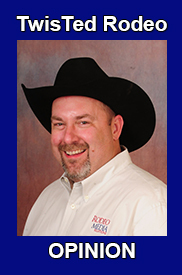 Rempelos is the chief marketing officer for the PRCA, and he answers to just two entities: Taylor and the PRCA board. That king-of-the-hill type title seems to be wielding great power, though. Under Rempelos’ guidance, there were a record number of denied media credential requests. But the cuts didn’t stop there. For the first time since 1999, the PRCA didn’t present a Media Award for Excellence in Print Journalism. Also for the first time in five years, the PRCA-carded photographers that were named the “official” NFR shooters were not given the appropriate buckles to recognize their accomplishments. Timers, pickup men, secretaries and every other person selected to work this great championship has that 2018 buckle. As far as the limited media members trying to cover the NFR, the facilities inside the UNLV basketball practice room inside the Thomas & Mack Center is much the same. The access, though, was more convoluted and difficult. That began to change through the 10 days of the championship, thanks to the PRCA media department. Media members are paid sparingly for their work. Stringers work anywhere from $50-$150 per story, and the pay for full-time members isn’t much better. The costs of travel, a room and meals in Las Vegas isn’t cheap, and the PRCA media department has understood that for years. That’s why a solid meal with all the food groups was made available for the people here to document the goings-on with ProRodeo’s premier event. But Rempelos has added another cut to the mix. Instead of a meal, the media room features an array of finger foods. Chicken wings and chips are perfect snacks for a Super Bowl party. A lunch meat tray works great for the company picnic. It’s not the biggest issue facing Rempelos and the PRCA, but he’s proving that he could not care any less for the media members who are doing their very best to cover his game. It’s unfortunate, and it needs to change. Here’s hoping the new CEO understands better than one of his chief lieutenants. Sounds like a sad state of affairs since I was there with you in the media room. Credentialing doesn’t cost them anything but a meal & wifi…. for free press! As far as finger foods, that’s ridiculous. One of their corporate sponsors likely would have been willing to sponsor it. The press is hard at work from before the rodeo starts to long after it ends, maybe with a bathroom break or two. Rodeo committees take better care of the Media at smaller events through out the year. I hope positive changes lie ahead. Few who really understand the sport & are loyal to it are willing and able to tell the stories. You couldn’t have said it better Ted. Thank you. I would like to add that the Prca failed to contact the photographers that didn’t make the cut to the NFR Me being one of them. After 9 years of being in Vegas from shooting behind the scenes to shooting in the arena, this was a kick in the gut. The Prca has become corrupt and disrespectful because of one. I don’t know if you realize, that for the first time a behind the scenes photographer was allowed to hire another photographer to shoot from the mote and in turn they could sell those images to sponsors and give the Prca a percentage of sales. And still Rempelos couldn’t give buckles out! Disgraceful. Has “to what end” been established as to why he has done this? Well just my opion but the PRCA better make some changes because it has competition now. Just get on the internet and look up Ranch Rodeo look at all the views. I wanna see real cowboys doing real cowboy stuff , wild cow doctoring, ranch bronc riding, pasture roping you know all the things that cowboys still do . And for me this whole bussiness of giving an all around tittle to someone that’s not all around the pen is silly and an insult to real cowboys if there’s not a hand that can do it well save the money and the buckle for the hand that will at least be cowboy enouf to mark a few out at the NFR. Rodeo is the only sport that can’t evolve to far from its roots because its not man against man it’s man against beast and the beast needs to always have the advantage thats the whole point of being a cowboy. The calf roping is becoming a joke you do that on a ranch one to many times and you’ll get run off at gunpoint its simply not reality ! And the average person knows that now because of the internet they have seen the real thing thats what the person in New York city seen on his PC and that’s what he came west on vacation to see. 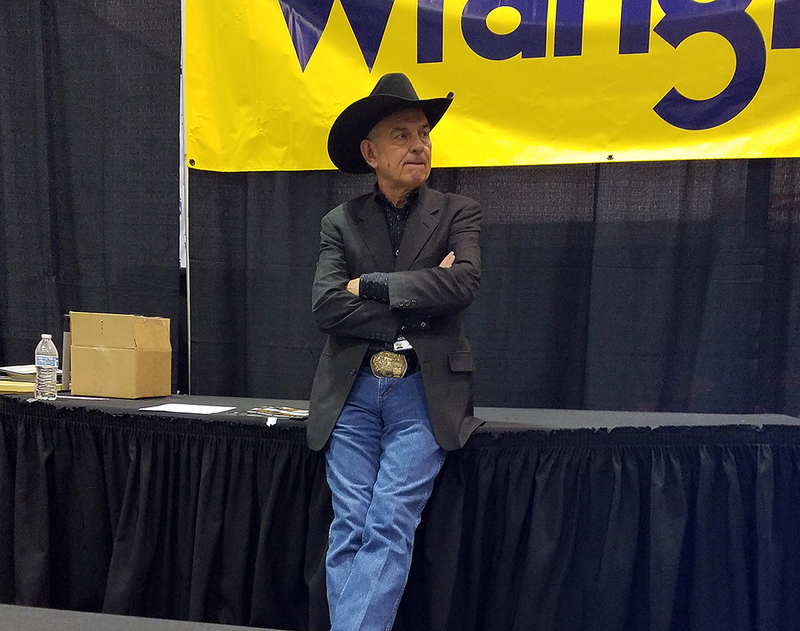 The PRCA better change its rules and start demanding that cowboys be well….. Cowboys instead of specialized one eventers or at least open it up to those who can do other things. In the end the masses want to see a show not show off’s.